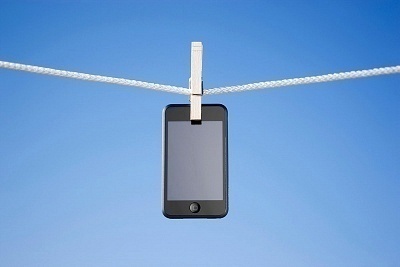 Immediately after your phone gets wet, dry it! I believe this ought to be common sense since leaving it soaking wet will not help to improve the problem whatsoever. Grab the nearest towel you can get on your hands on and wipe it clean. Pray hard that the damages are only superficial. Do not attempt to turn it on or off. Desperate for my smartphone to show any signs of life, I pressed all the buttons I could repeatedly. That is wrong! This only damages more parts of your phone which might previously not even be in contact with water at all. Worse, I felt the device heating up which only confirmed my worst fears when it finally hit the coma stage of blacking out altogether. 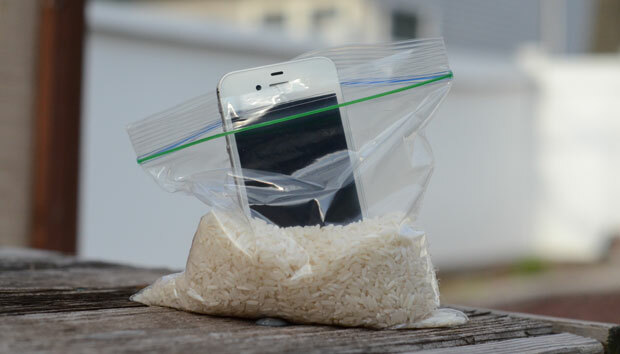 Get a ziplock bag filled with rice/silica gel packs and place your phone in it. Both substances act as a drying agent that helps to absorb moisture to some extent. This advice was given to me by a friend and she had some success with it. 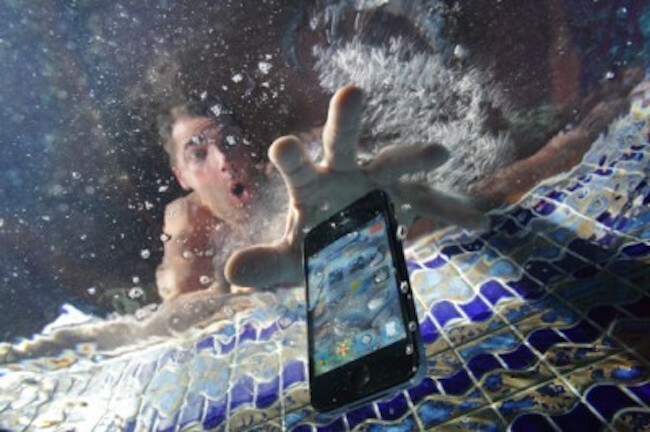 The smartphone is in operating order, but there are still some traces left by the effects of being dunked in water. I decided to go ahead and try it out for three days. Do not try to charge it. I suspect that I was inflicting as much harm as I was in my attempts to try and save it. Somehow, I felt equally helpless as I watch my phone packed with rice and gave into temptation thinking that the phone charger could work as a defibrillator. Clearly, I am not a trained medical doctor, nor a smartphone technician for a good reason. The phone’s condition did not improve and I was pretty sure I felt a mild electric shock myself when I accidentally tried to touch the end of the plug. Blow it with a hairdryer at an appropriate temperature, that is not too hot. I set my hair dryer to the lowest temperature and blow dried my phone for a cool ten minutes. This is not a foolproof method, but from the reviews I heard, more people have success in reviving their phones as opposed to causing more damage to it. It worked for me too. For about a minute. I could switch on my phone, but the elation was short-lived as it powered down right after that. Also read: Unbelievable: Phonesoap Charger, the only phone charger that cleans while it charges. I could only blame myself for my own stupidity. Left without a phone, I salvaged what was left of my SIM card and relied heavily on social media to contact others. Imagine my horrors when my ACER laptop churned out problems of its own, three days later. The entire experience turned out to be plain disruptive for my work yet rather soothing for my mental health, thus reconfirming my nagging suspicion that I relied on these technological devices way too much, whether for better or for worse. On one hand, it brought a myriad of inconveniences which I never thought so much about. I realized that I could not remember anybody’s phone number (with the exception of my parents), and whatever backup data I had done was seven months ago. This means that any previous acquaintances’ numbers I saved was now deleted and lost forever. Advice for all you readers now, do your backup religiously! With no Google Map to guide me when I am lost, no phone to hide behind when I am stuck in socially awkward situations –I felt like a Timex watch in a digital age. On the other hand, I was also free from distractions; forced to live without checking my Gmail/Instagram/Whatsapp accounts obsessively, I felt like a free person. Believe me. It was an uncomfortable feeling at first, to be out of the loop and strangely disoriented, but I got used to it. After all, humans adapt really quickly.